UK meat industry - unhappy about the way CO2 supplies are regulated. The organisation that represents Britain's meat industry has accused carbon dioxide (CO2) suppliers of allowing a bidding war to break out between meat producers, desperate for supplies of the gas following a Europe-wide shortage. 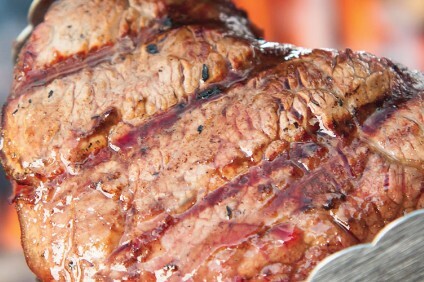 Nick Allen, CEO of the British Meat Producers Association (BMPA) said: "I'm receiving multiple reports from the meat industry companies that CO2 suppliers are allowing a bidding war to break out amongst their customers, with only the biggest companies that have the deepest pockets able to compete for scarce gas supplies." Meat and poultry processors, retailers, and drinks firms have all been hit by the CO2 shortage, caused by a number of European ammonia and ethanol plants, key producers of the gas, being closed for maintenance work at the same time. The gas has multiple uses in the food industry, including aiding in the stunning animals process in slaughterhouses. 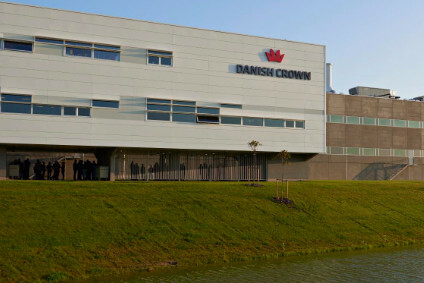 Danish Crown UK subsidiary Tulip suspended production at an abattoir in Scotland it runs in conjunction with Scottish Pig Producers as the CO2 shortage started to bite. Three out of five key UK producers were shut down, but two of those have restarted. However, there is likely to be a time lag in supplies filtering through. The BMPA warned it is expecting plants to experience problems over the next few weeks until normal supplies are fully restored. But its latest announcement that prices for gas supplies are likely to go up as a bidding war breaks out is likely to alarm meat producers further. Allen said: "There have been instances of meat industry firms dispatching trucks, at vast expense, into Europe to source gas cylinders from smaller CO2 suppliers to keep factories rolling at a much-reduced capacity." The BMPA is calling on the UK government to better regulate and monitor CO2 production and distribution. It said: "The crisis has highlighted that the British food supply chain is at the mercy of a small number of major fertiliser companies (four or five companies) spread across northern Europe, whose factories' by-product we rely on to keep our food chain moving." It said it is seeking to address this "structural vulnerability" with government. It is calling on Greg Clark, the UK's Business Secretary, to "convene the big CO2 manufacturers to demand that they coordinate to minimise disruption and provide information to Britain's buisneses so contingency plans can be made". Just-food has asked CO2 industry body, the Carbon Capture & Storage Association (CCSA), for a response to the BMPA's claims.